2016 TT Privateer champion Dan Hegarty has joined forces with Top Gun Racing for the 2017 Isle of Man TT Races fuelled by Monster Energy. Dan will be piloting the new Honda Fireblade SP2 and CBR 600 at the TT as well as the North West 200, Southern 100, Ulster Grand Prix and Olivers Mount. The team will have support from Honda Racing and will be working with Maxton suspension. 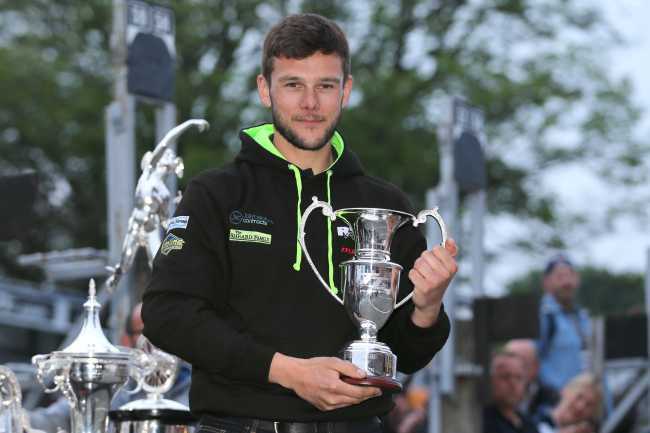 Dan’s 2016 campaign saw him firmly make his mark at the TT as the leading privateer, with four top 20 finishes including 11th place in both the RL360 Quantum Superstock and PokerStars Senior TT Races, which are his highest placed finishes to date at the TT. He has a fastest lap of 128.431mph, which he achieved in the RST Superbike Race in 2016, that makes him the 25th fastest rider of all time around the Mountain Course. He was also fastest newcomer at both the North West 200 and Ulster Grand Prix, achieved a podium in the Southern 100 and scored a win in the Bob Smith Spring Cup at the Oliver’s Mount Circuit at Scarborough and pole position at the International Gold Cup. A former frontrunner in the British Superstock and Virgin Mobile R6 Cup Championships, Dan made his TT Mountain Course debut in 2011 with his best results being the two 11th place finishes achieved in last year’s Superstock and Senior races. In 2013, he rode as part of the factory Norton team and now has six silver and 11 bronze replicas to his name. The team will begin testing in February with their first outing planned for the Spring Cup at Oliver’s Mount at the end of April.